We are pleased with the response that we have received regarding support for the Back to Bulgandramine Cultural Gathering to be held on 1 and 2 June 2019. On Monday a meeting was held with interested service-related organisations to see how we can work together to bring more elements to the Gathering. If you or your organisation are able to contribute in some way, I would be thrilled to hear from you. This is a free event celebration as part of Reconciliation Week, with many people contributing their time and gifts to bring this wonderful event to the community. We are pleased to be working with the Bogan River Peak Hill Wiradjuri Aboriginal Corporation and Peak Hill Aboriginal Working Party. Other events coming up include our Bus trip to Burrendong Arboretum on 24 April, with the bus departing from Forbes and Parkes. RSVP for this trip are essential. This is a free event, with morning tea and lunch included. 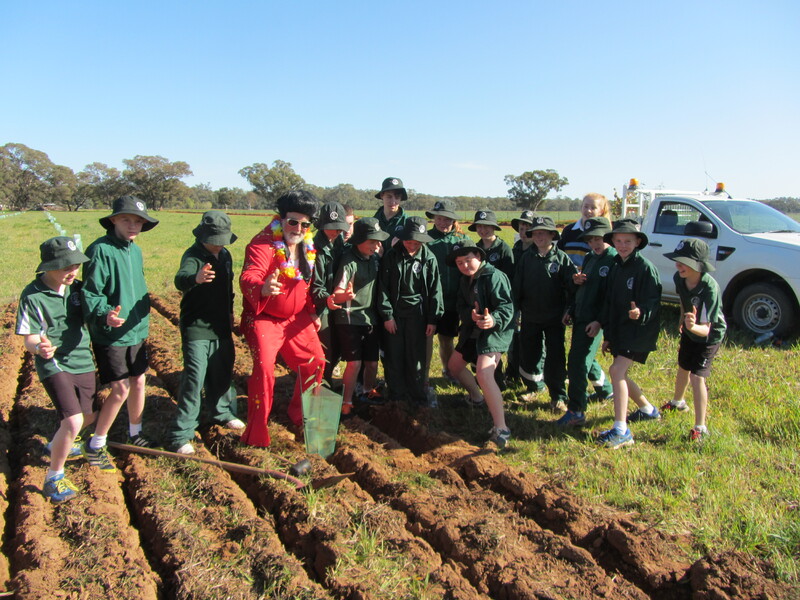 This trip is made possible with funding through the Central West Local Land Services and the National Landcare Program. We are fortunate to have a presentation from the CWLLS on the Small Purple Pea (Swainsona recta) also as part of the day. On 8 May we are pleased to be bringing two workshops to Parkes and Forbes with Guy Webb, speaking about Soil C Quest, cover cropping and with a presentation of the Scinema Award winning Grassroots Documentary. More details on that workshop in next weeks article. We are also pleased to have two Managing Established Pest Animals and Weeds workshops coming up on 21 May (Parkes) and 22 May (Forbes) with a focus on Blue Heliotrope and Feral Pigs. Two topics that are hot discussion topics in our area at the moment. Last but not least, as mentioned in last week’s article, I am off to the Royal Easter Show on Thursday to volunteer on the Landcare NSW stand over the long weekend, along with my handy assistant, who is keen to help out with some colouring and activities on the day. The LNSW competition to win tickets to the Show closes on Friday, 12 April at 5pm. Become a Friend of Landcare NSW and go in the running to win one of four family passes to the 2019 Royal Easter Show. There are two colouring pages up on the LNSW website for school holiday colouring. Bring these into us at the Show and pick up some seed sticks for you to plant, share your pics on social media tagging #clickandgrow and #landcare. If you aren’t going to the Show and are really keen to colour, I would still love to have your colouring and I will make sure that it gets to the Show and you receive some seed sticks. We will be situated near the Little Big Top Amphitheatre and the main Stadium. If you are headed to the Show, please drop in and say hi! 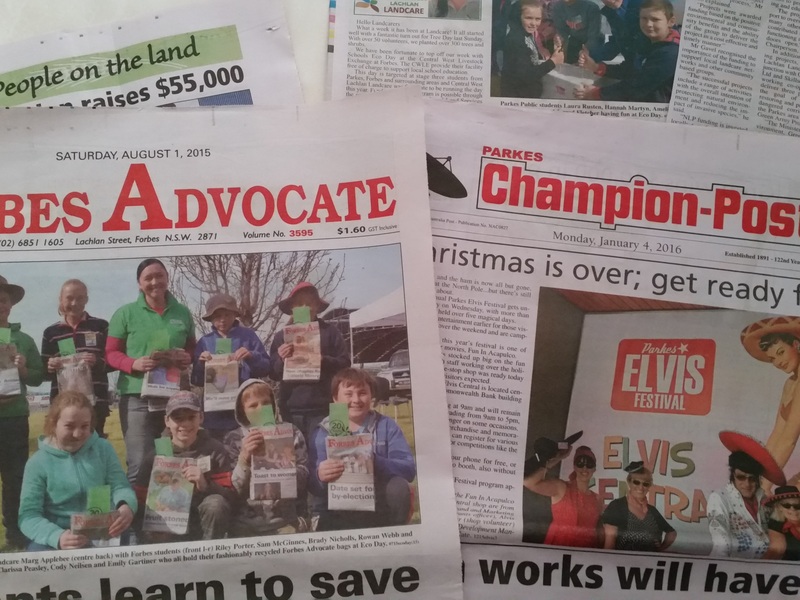 Landcare NSW will be in this year’s popular Ag Bag. Every cent raised by the Ag Bag goes directly to the Royal Agricultural Society of NSW (RAS) Foundation’s Community Futures Grant program. At just $20 this Showbag is valued at more than $66, and is a celebration of Australian agriculture offering a range of products donated by local companies. Landcare NSW has supplied native seed packs to be included in the 3,500 bags on offer. The bag is available from the Home & Lifestyle Pavilion.